There is a wealth of knowledge available in books you won’t find anywhere else. 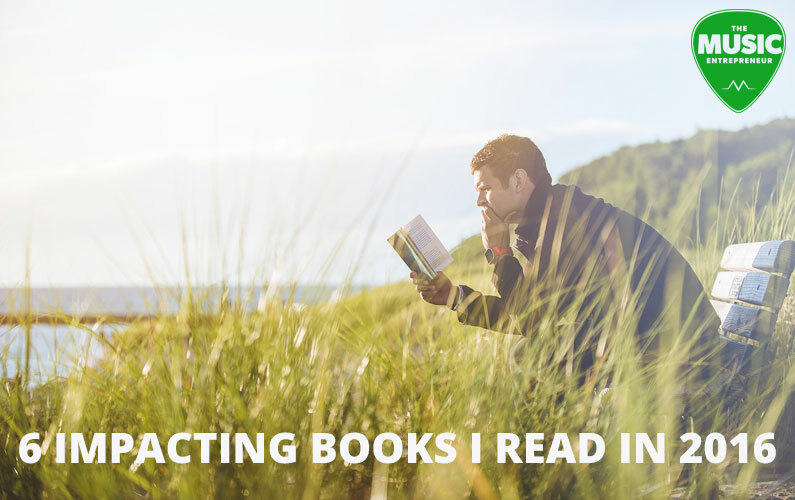 That’s why I continue to read 52 books per year. 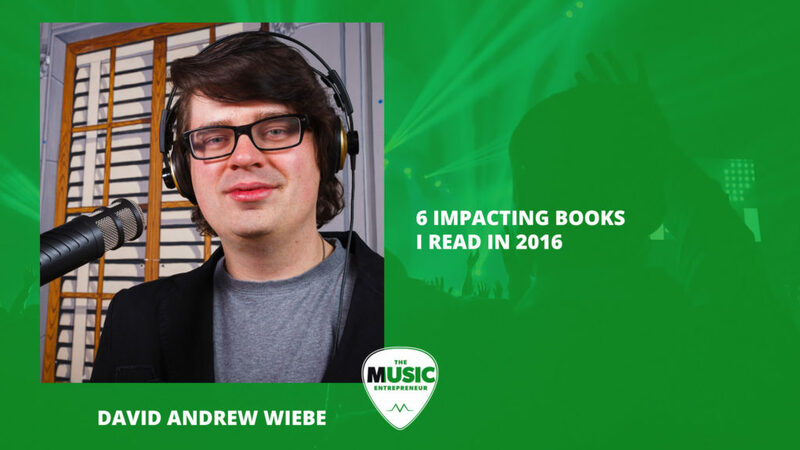 In this episode of The New Music Industry Podcast, I look at the best books I read in 2016. 07:15 – What books will you be reading? As with 2015, I ended up reading 52 books in 2016 – some short, some long, some about music, others about business, some valuable, others not so much. And as with last time, there are only a few that I would consider impacting. But a couple of the following books have made it onto my essential business bookshelf, so I’m glad I found and read those sooner rather than later. Here are the six impacting books I read in 2016. I first heard about The Compound Effect because of John Lee Dumas. I had already read The Slight Edge by Jeff Olson, and I’ve even talked about that book here on the blog before, but John pointed out on several of his podcast episodes that this was essentially the spiritual cousin of The Slight Edge. True, The Compound Effect does start off almost the same way. But the subsequent chapters on choices, habits, momentum, influences, and acceleration are based off what SUCCESS magazine Founding Editor Hardy himself found to be the most valuable principles for attaining success in life. This is where the meat of the book lies. I felt this was the first personal development book I’d read in a while that had substance and value to impart. I’d gone through a bit of a dry spell prior to reading this book, but this got me inspired again, and was a good way to begin the year. 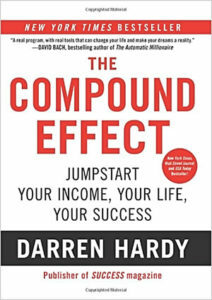 Whether you’re new to personal development, or you’re taking steps to grow yourself every single day, I think you’ll find value in The Compound Effect. Read the title of the book again. Does it make you think of someone you know? Well, hopefully you thought of me when you read it, because the Content Inc. model is what I’ve been building The Music Entrepreneur into. If you read Content Inc. and don’t get excited, then content marketing probably isn’t for you. The introduction alone, written by Brian Clark, Founder and CEO of Rainmaker Digital, got me fired up. And if you think it’s just a book about enterprises growing their businesses using content, you’re wrong (although if you’re a true musicpreneur, you should be reading and learning about business and not just music). Pulizzi talks about several YouTube content creators that are building massive audiences and radically successful businesses. On the path to creating the business of my dreams, I will admit to being somewhat discouraged at times. But it’s books like these that let me know I’m moving in the right direction, even though I may need to work out some of the kinks in my strategy along the way. 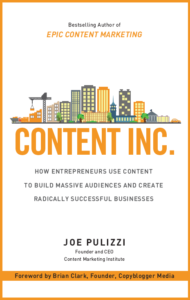 This is an essential read for entrepreneurs looking to build a content-based business. I’d heard about Timothy Ferriss and his book when everyone else did. 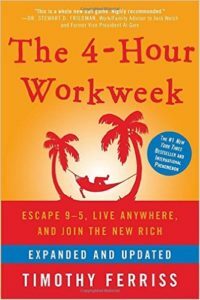 But for some reason I didn’t get around to reading The 4-Hour Workweek until 2016. Ushered on by other entrepreneurs, and my good friend James Moore, I couldn’t ignore it any longer. I bought the expanded and updated version (which is 411 pages by the way) and quickly devoured it. I found it to be an incredibly inspiring read, and it’s hard to put down once you get going. Lifestyle design is still very relevant in today’s world, and though setting up a business and putting it on autopilot isn’t exactly a walk in the park, there’s something here for everyone – from people who would love to work from home just one day per week, to people who want to travel the world and be in a different country every month. This volume was quickly elevated to my must-read business book list, which also includes Book Yourself Solid and Content Inc. So, for me, Show Your Work! is an echo chamber of sorts. But I will openly admit that Kleon puts it all into terms that are more digestible and actionable for the reader. 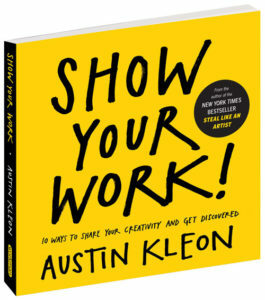 He makes it easy for you to follow processes that will help you get your creative work out in the world. He doesn’t ramble on and on, either – you can easily get through this book in a few sittings. Authors of today should all take note. We need to be doing a better job of communicating our ideas in simpler and more memorable ways. For instance, if you want to drive home the importance of consistency in your articles or books, you need to find new and different ways of saying it, because everybody is talking about the importance of consistency. Kleon’s written the book that I should have. If you’re just getting started in your creative work, and you don’t know where to start, read this right away. You may have heard of the concept of spaced repetition, the idea that a book changes with repeated readings. It isn’t really the book that’s changed, it’s you. As you grow and develop as an individual, when you come back to a book you’ve read before, you take away new things from it. 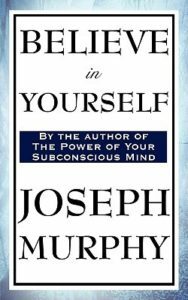 While I haven’t found this to be the case with every book I’ve read, it certainly holds true for Joseph Murphy’s Believe in Yourself. This little volume contains some amazingly deep thoughts on spirituality and success in life. My first read-through of the book wasn’t as thrilling, but my second this year? Amazing. This book should be on your shelf, and it’s one I will likely keep coming back to. People are a bit confused about the concept of hustle, because of how it’s glorified in our culture. Entrepreneurship is trendier than ever, and long hours at the office is worn like a badge of honor. 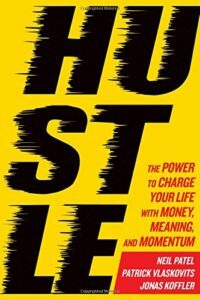 If that’s your definition of hustle, then read this book. It tells us that it isn’t about the long hours and sacrifice – certainly not just about those things – it’s about discovering our gifts and choosing to pursue them. Passion means to “suffer for.” Can you truly suffer for something you don’t care about, aren’t good at, and don’t want to do? No. But will you be productive and effective at something you love? Will you stay the course when things get tough if you enjoy what you do? Yes. Aside from that, Hustle is a bit of an echo chamber for me, because I already know about the way our society is set up and how it can work against us. But if you don’t know, you need to delve into this book right away and learn about the life you’re being shackled to. Also, Hustle is a brilliantly written book. It seems Patel, Vlaskovits, and Koffler have gone out of their way to avoid clichéd expressions, examples, and case studies. Do you know what books you will be reading in 2017? I’ve started tracking my reading list over at my personal blog, and will be updating it as I complete books and figure out what I’ll be tackling next. Please let me know if you have any books you’d like to recommend. I look forward to reading your comments.